I have a lovely friend called Lorna, who I have known for a number of years. I am constantly in awe of her, since she is the sort of mum other mums are jealous of. She bakes amazing cakes, she is super-organised, holds down a demanding job and even finds time to be a fantastic Beaver Scout leader! She is amazing. However, one thing you may not notice about Lorna is that she has a Multiple Sclerosis, a serious medical condition that can effect all kinds of areas of function within the body. She has kindly agreed to spend a little time telling you more about it. Her words a truly inspirational and I may just love her a little bit more after reading them! Well where do I start? For those who don't know what MS is it's Multiple Sclerosis. A neurological disease which effects the nervous system, and the messages sent from your brain to the rest of your body. I'm trying to make people aware of MS as there are over 100,000 people in the UK suffering from this illness and most of you will probably know someone with it without realising it, Most of the time its a invisible disease. Now I won't try and bore you but this is my story. 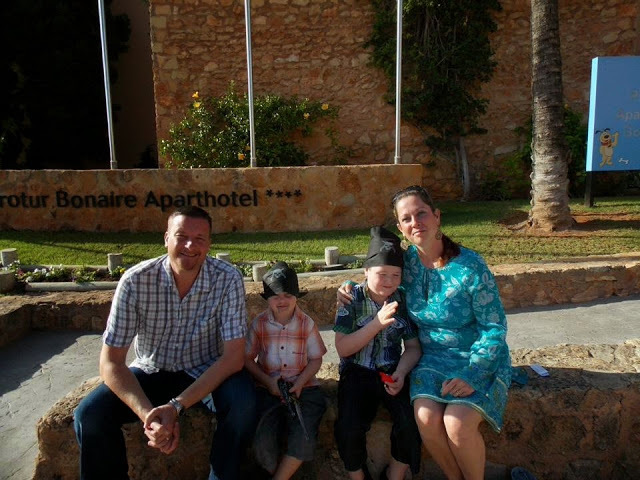 I'm 35 years old, happily married with 2 boys age 6 and 9, back in 2010 was where it all began. I woke up one morning with pins and needles in my feet, thought I just slept funny, like you do, but the pins and needles didn't disappear and they travelled up to my waist and where constant. Then I started to go numb. I could walk but couldn't feel the lower part of my body. If I was to cut my leg I wouldn't feel it, or stub my toe, it wouldn't hurt and this lasted for about 8 months. I do remember one time when I was out with my little boy at the time, I was walking down the road looked down at my feet and realised I had lost a flip flop. I looked a right blank and just laughed at myself, after several tests, an MRI and lumbar puncture, the neurologist said that I had Clinically Isolated Syndrome (CIS) which is an individual first episode of neurological symptoms which may lead in to MS or not. I had a 90% chance it would turn into MS.
A few years passed, I had mild symptoms, such as tremors and fatigue but no relapses. I carried on as normal, raising my family and getting on with my life, then boom in November 2013 another relapse, similar like the first one but just on my right side. This is when i finally got diagnosed with Remitting Relapsing MS. Yes I was scared, and worried about the future. when you get told that you have MS your first thought is will I be in a wheelchair? Will I be able to work? Will someone have to care for me? But once your learn more about MS you get to understand the condition, that everyone is different, everyone has different symptoms and good times and challenging times. Once my feeling came back after a couple of weeks, I carried on working, driving and being me. Yes I was tired and had to cut my hours at work and learn to know my limits but I was still me. Then again in November 2014 boom, another relapse, but this was different, I started to lose vision in my right eye. The doctor told me it was optic neuritis and this did scare me, but it slowly returned. My next journey is to start DMD, Disease Modifying Drug Therapy, in the next few weeks, which won't cure my MS as there is no cure but it should slow down the progression. "You don't look like you have MS"
I don't do sympathy, and i don't need special treatment, I have this illness but I won't let it beat me. if I end up in a wheelchair or not, at the end of the day no one knows what the future will hold. 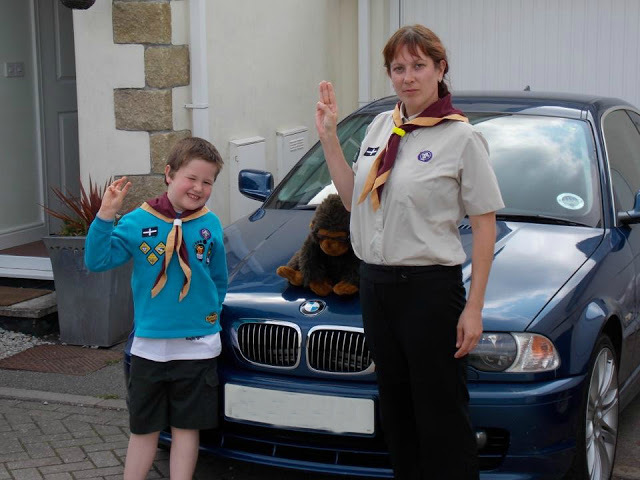 Like I said before 'I'm a mum of two, a beaver scout leader, a carer and yes I do have MS'. for better treatment and care. More than 100,000 people currently suffer from MS in the UK alone. It's time to fight back. Boom, I love Lorna, I have known her for years, she's a true inspiration to everyone, a real tough lady. Lucy is right Lorna is so talented with a love life, family and work. I look at Lorna as Lorna. Whatever your future holds Lorna, I will always be your friend. Thank you Lucy for sharing Lorna's journey, for someone like me, I know very little about MS, the symptoms, what could happen, what MS means, this is a real eye opener. Thank you for sharing Lorna's story Lucy. I have a friend who suffers from MS so I know what she is going through. MS isn't discussed enough, like so many other non-cancer health conditions. Lorna is an amazing lady. She has so much energy. Even though she has MS she is a fighter and does everything to the best of her ability. Sending lots of love to her and thanks Lucy for letting her tell her story. 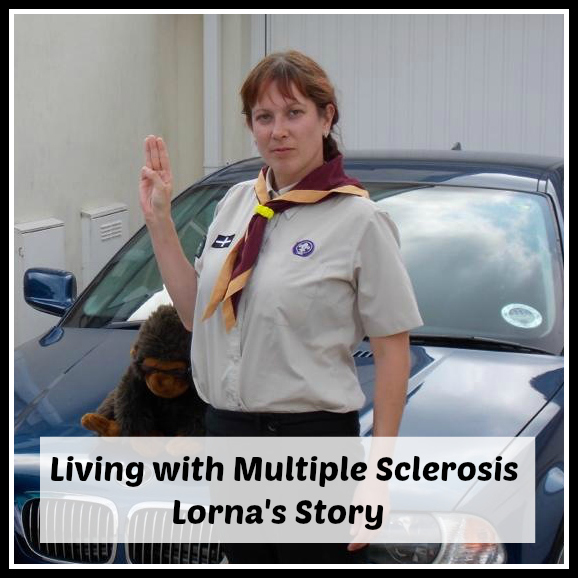 I hope it raises awareness of MS.
What a useful insight into how MS has affected you Lorna. I met somebody recently who explained how MS had affected her life and you've both helped give me more understanding about the condition. What an amazing read and fantastic story - my Mums friend has MS and it was something I grew up around because of that (she had a daughter my age so often went on play dates) she is a remarkable woman as well. MS or any illness isn't good news but you have a positive attitude and keeping your self busy which is good. I am sure you are an inspiration to all the beavers you lead. Thank you for sharing your story and helping me understand MS better. A lovely inspirational story, Lovely to see such positives with a illness you suffer with every day. What a great positive attitude and well done for bringing this disease to people's attention without scare-mongering. Such a positive approach to life!! Its very inspiring to read that despite the MS you are not wallowing in self pity and you are making the best of your family live , work and social activities. Its very courageous and well done. Thank you so much for sharing your story! A close friend has recently been diagnosed with relapsing remitting MS. He is young with a very active job and hobbies and right now he is very frightened. He worries, not just about what is going to happen, but that he is going to lose himself a bit and become 'a MS sufferer' in peoples eyes. Articles like this are great for him to read and feel he's not alone.